Get free fundraising information in your inbox! Every other Tuesday, Marc shares some of this top fundraising tips in his free Ask Without Fear! email newsletter. As an added bonus for signing up, you'll get the new ebook 21 Ways for Board Members to Engage in Fundraising completely free. 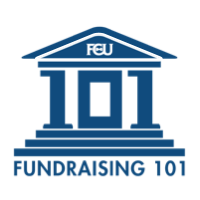 This quick ebook shows almost two dozen ways board members can get engaged in fundraising for their nonprofit. Marc regularly coaches board members in his private coaching practice and he wrote this for them. Board members love that most of these ways do not involve asking! Some nonprofit leaders are even using this ebook as a tool in their board orientation. This ebook is packed with tips and even comes with scripts for phone calls and invitations. And it's yours free when you sign up for the Ask Without Fear! email newsletter. "Your blogs are inspirational and motivate me to push forward as a fundraising professional in this crazy economy!" People say these articles and suggestions are so practical, they want to share them with their colleagues and co-workers. Why Subscribe to the Ask Without Fear! newsletter? You won't have to remember to read the blog. You won't need to worry about remembering how to get to the Fundraising Coach website. You'll stay up-to-date with the newest fundraising secrets Marc's writing about. All Many of the cool kids are doing it. Why not subscribe right now?